When I was little, I thought every woman knew how to sew and all households owned a sewing machine. My mom sewed; my grandmothers all sewed; my aunts sewed. Most of the clothes I wore were sewn by my mom, and 100% of my doll clothes were made by my mom and grandmothers. I didn’t realize until I was older that not everyone knew how to sew! And then sewing became an almost dying art since it became less expensive (and certainly less labor intensive) to buy clothes than sew them yourself. But now in the age of crafting and DIY, more and more people are taking to sewing again, and sewing is becoming a hobby for women and men alike! Sewing is a chance to create something unique, whether it be from new fabric or recycling material. But let’s face it, sewing can get expensive, with the biggest expensive being the sewing machine itself. Fortunately, there are several online stores that sell sewing machines that also allow you to buy a sewing machine now and pay later with deferred billing options so you can make payments on a new sewing machine! Montgomery Ward says “Yes” and frequently provides credit accounts to consumers when other retailers have said “No”! Get quick approval up to $100 credit with payments of only $10 per month. They offer a giant selection of brand name items including Singer and Brother sewing machines. Shop Wards.com now! Fingerhut carries Singer and Brother sewing machines sets plus thousands of other trusted name brand products with no down payment and low monthly payments. Apply today, buy today while building your credit history. If you already have a Fingerhut Credit Account, click here to shop! HSN offers Flex Pay, which is better than layaway! 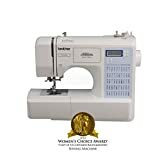 Buy a computerized sewing machine or serger from Singer, Brother, Janome or Crafter’s Companion and pay it off over time – with no fees or interest. Shop HSN.com now! FlexShopper carries name brand sewing machines and sewing tables that are available to rent to own in 12 months of less for as little as $4 per week. Qualify today for up to $2,500 instant spending limit with no money down and no hidden fees. Bad credit is okay. Shop FlexShopper.com now! Home Depot doesn’t just sell tools and building supplies; they also sell home decor, furniture, and supplies for DIY projects, including sewing machines! Apply for a Home Depot Consumer Credit Card with up to 24 months special financing on purchases of $299 or more. Shop HomeDepot.com now! Gettington lets you choose to pay back in 4 payments or up to 24 monthly payments on thousands of products including Brother and Singer sewing machines. The application takes under a minute. If you already have a Gettington Credit Account, click here to shop! Wayfair sells dozens of types of sewing machines and everything else you need for your home plus accepts Affirm for payment. ShopWayfair.com now! Can’t find the sewing machine that you’re looking for? Check Into Cash offers loans up to $1000 deposited directly into your bank account to spend anywhere you want. Apply for free in minutes! The following online stores all sell sewing machines AND accept PayPal, so you can choose PayPal Credit (formerly Bill me Later) at checkout to make monthly payments. Make no payments and pay no interest if paid in full in 6 or 9 months. Some online stores that sell sewing machines accept other forms of financing such as GetFinancing, Klarna and Blispay. More buy now pay later stores. Do you plan to sew clothing or a quilt or something else with your new sewing machine?